Monday 22nd January: The Te Aroha College Office reopens for 2018. The Senior Leadership Team and Deans are available for enrolments or any meetings from Wednesday 24th January. Please book with Dot Elgar via email on [email protected] or by phoning 07 8848625. Please be aware that the Gymnasium reconstruction and prefab removal projects are well underway through January and this means there will be limited staff on site to allow the deconstruction work to be completed as quickly as possible. Year 13 Leadership Camp at Waihi Academy, Waihi. All Year 13 students to attend. Grant Aitken, Year 13 Dean coordinating. Subject confirmation and Course Changes 11.00am - 1.30pm: Wayne Stringer and Alex Daroux will be coordinating with available Deans and Heads of Learning Areas. Tuesday 30st January - 9.00 am: All Year 13 to attend to set up for year 9 Welcome and confirm all learning programmes. 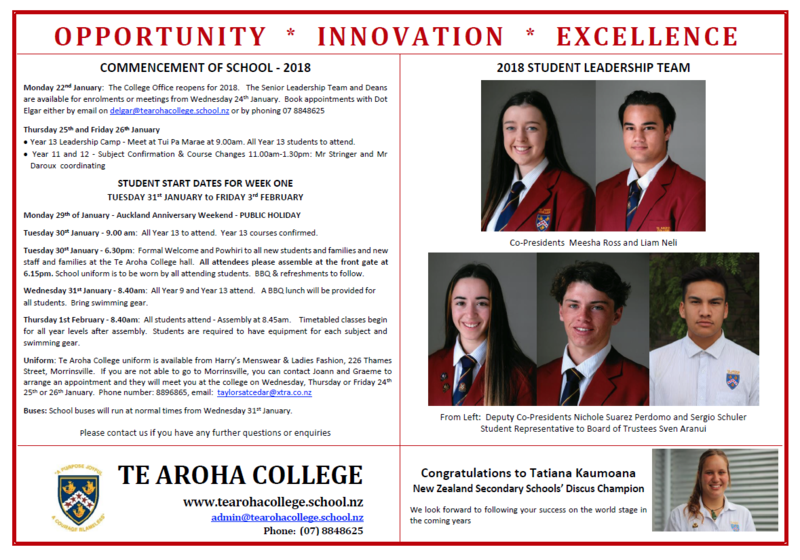 Tuesday 30st January - 6.30pm: Formal Welcome and Powhiri to Year 9 and all new students and families and new staff and families at the Te Aroha College hall. 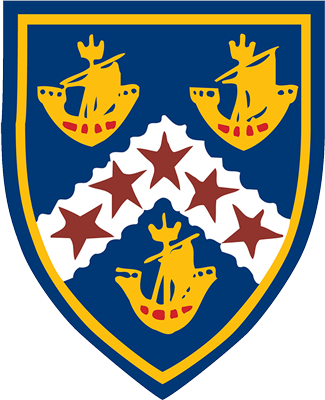 School uniform is to be worn by all attending students. BBQ & refreshments to follow. All attendees please be ready at 6.15pm. Wednesday 31st January - 8.40am: All Year 9 and Year 13 attend. A BBQ lunch will be provided for all students. Students to bring swimming gear. Thursday 1st February - 8.40am: All students attend. Assembly at 8.45am. Timetabled classes begin for all year levels after assembly. Students are required to have equipment for each subject and swimming gear. Friday 2nd February - 8.40am: All students to attend for timetabled classes. 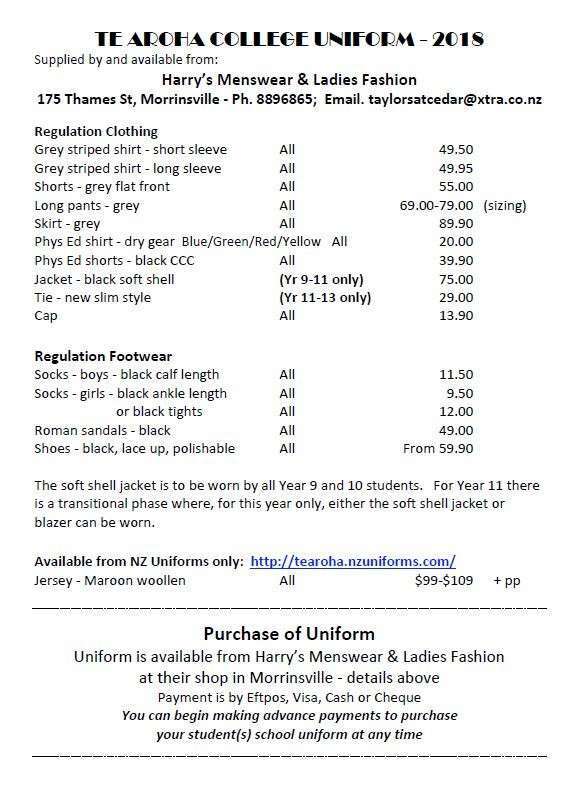 The Te Aroha College uniform is available from Harry’s Menswear & Ladies Fashion, 226 Thames Street, Morrinsville. If you are not able to go to Morrinsville, you can either phone or email Joann or Graeme to arrange an appointment. They will meet you at the college on Wednesday, Thursday or Friday 24th to 26th January. Phone number is 8896865, email is [email protected]. School buses will run at normal times from Wednesday 31st January. Please contact us if you have any further questions or enquiries. Further information will be sent to each year level over the coming weeks that relates specifically to their learning programmes. We are looking forward to seeing everyone for a great year of learning to come. In January, we continue working with international groups and we welcome 43 students from Korea. As part of this we have an exciting development which involves our own students as paid mentors. We look forward to increasing our connections with international groups.